Today, Accessible Archives announced the inclusion of Twelve Years a Slave by Solomon Northrup into its collection of online primary sources from American history. You can search Twelve Years a Slave and download parts of the text on Accessible Archives; you can also browse the book for free online in the HathiTrust Digital Library. Accessible Archives also includes fully digitized abolitionist sources such as The Liberator (published from 1831-1865), The Lily (a women’s newspaper also focused on temperance and published from 1849-1856), and The National Anti-Slavery Standard (1840-1870), as well as a number of early African-American newspapers, including Frederick Douglass’ Paper (1851-1863). In these sources, you can find a number of contemporary accounts of Northrup’s kidnapping and rescue. Our Alexander Street Press databases American Song and Education in Video got a facelift this winter – the vendor released a new interface! 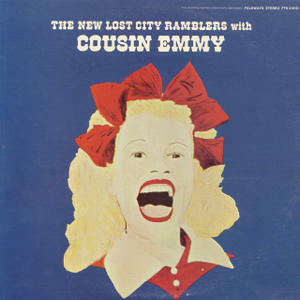 You can learn more about the new interface by checking out this FAQ, or use it yourself – listen to the 1968 track “Bowling Green” by the New Lost City Ramblers with Cousin Emmy! Keep up in your field, and have all the answers. You might get all your news from Facebook and Buzzfeed, but you probably won’t be able to keep up on the latest scholarly publications in your field if you only rely on those sites for updates. That’s why University Libraries subscribes to BrowZine, an iPad app that lets you check in with your favorite scholarly journals whenever you check your Twitter feed – and connect right to a pdf or two. Download BrowZine for free from the App Store, let it know you’re affiliated with BGSU, and then browse the library’s subscription ejournals by subject. If you don’t have an iPad, check one out at the check-out desk in Jerome Library – we have BrowZine on all of our iPads. Or wait a few months – BrowZine should be available for iPhones this summer. Learn more on our BrowZine LibGuide. There are other ways to keep up, too! You can sign up for alerts to your favorite scholarly journals from almost any of our research databases or ejournal websites, and receive the tables of contents via email as soon as they are published. Don’t know which journals to choose? Ask your subject librarian for a recommendation! This year, make it your New Year’s Resolution to be effortlessly in the know. Our tools can help you! 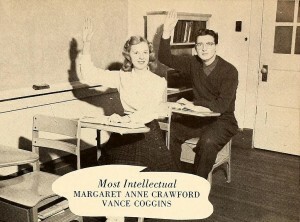 Photo from the North Carolina Digital Heritage Center. Through January 14, 2014, BGSU Libraries is trialling the online database S & P NetAdvantage. This financial information resource features Standard & Poor’s publications related to financial markets and investing. 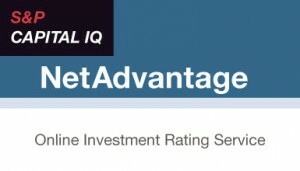 Users of S&P NetAdvantage have access to S&P industry Surveys, stock & bond reports, directories, registers (including those of private companies) and more. The Libraries are plan to replace subscriptions to other print and online financial information with a subscription to this one, comprehensive, high-quality resource. Contact Collections Coordinator Linda Brown at lbrown @ bgsu.edu if you would like to provide your feedback. This summer, OhioLINK added a new database for all OhioLINK libraries called Consumer Health Complete. It searches magazines and journals, government reports and publications, and reference works that were written with the patient (not the doctor) in mind as the reader. This makes it a great place to go for reliable information you can understand about health problems, health trends, food and nutrition, and more. A search for “flu 2013,” for example, brings up a number of government reports and consumer and trade publications about what to expect during the 2013-14 flu season. You can also use CHC to find reliable information on controversial health topics like binge drinking or the abuse of ADHD drugs by college students. Through November 1, University Libraries has a trial to Oxford Bibliographies Online. OBO is a unique reference tool in which 95 broad subject categories are broken down into smaller and smaller subject areas, and individual books and articles important to the study of each subject is listed and described. Users can start their exploration with a keyword search or by browsing through a broad subject area, such as Cinema and Media Studies. Each Oxford Bibliographies article, written and reviewed by top scholars in the field, is rich with citations and annotations, expert recommendations, and narrative pathways through the most useful and important works on the topic in question. View the anatomy of an OBO article here. 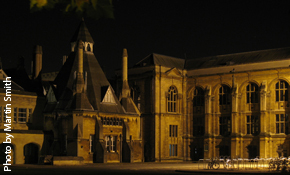 The photo of Radcliffe Science Library at Oxford University was taken by Martin Smith.